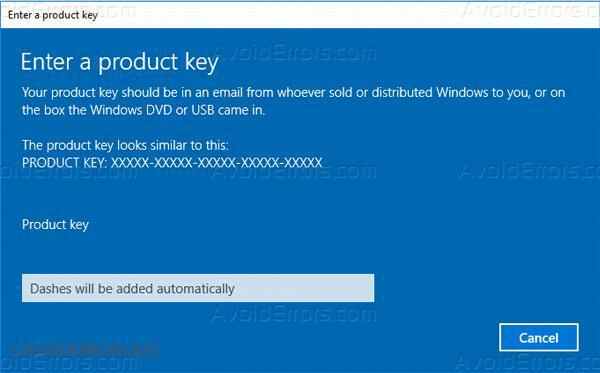 If you’re running Windows 10 Home and want to upgrade to Windows 10 Professional, all you need to do is change the current Windows 10 Home product key for a Windows 10 Pro product key. 1. Click on start and type “about your PC” and select it from the results. 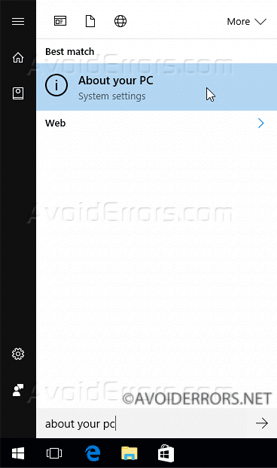 This will open the settings window. 2. 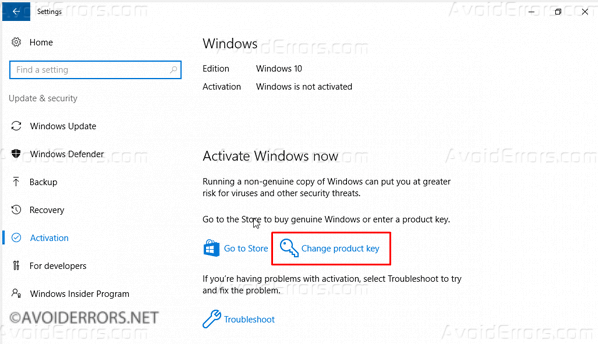 Here click on “Change product key or upgrade your edition of Windows” To open the activation section in the settings. 3. Here click on “Change product key”. 4. 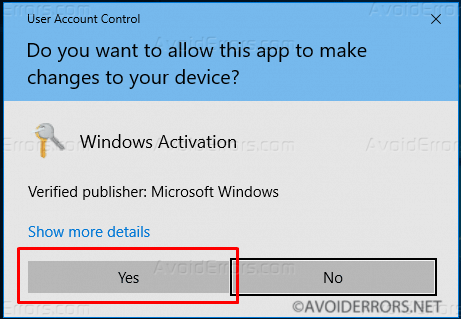 If prompted click on yes to the UAC. 5. 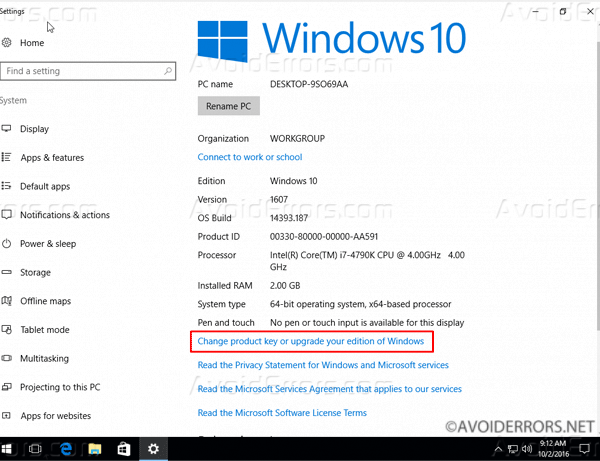 Now enter the Windows 10 Pro product key. 6. The system will verify the new product key, once done click on “Start Upgrade” button. Note: The process of upgrading may take a while please do not manually reboot or make any changed to the PC while upgrading. The system will reboot several time just let it run.